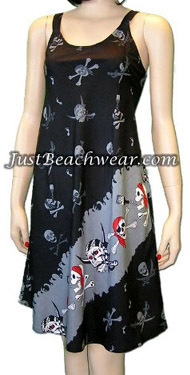 For almost two months now, I've been searching for a skull-printed dress in my price range and size. But those numbers just don't seem to be adding up. 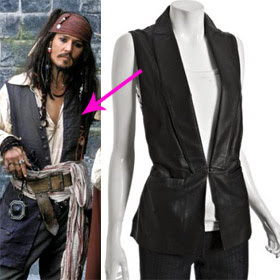 While skimming some ebay results I found this dress on the right. I wanted something a little bit more glam and badass but after a few days, this dress has grown on me. It's incredibly hot in Texas right now (you start sweating before your car A/C comes on) so piling on heavy fabrics and sequins seems like a bad idea. Also, I can cut it shorter and hem it. 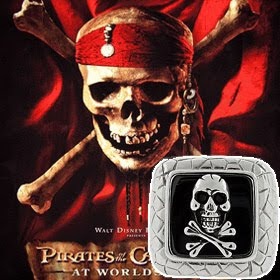 Watching the fourth Pirates of the Caribbean movie on Saturday cemented it for me. 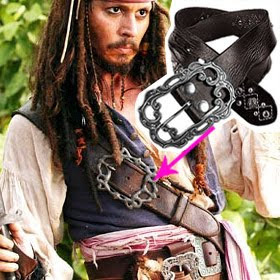 I'm a big fan of Captain Jack Sparrow and my girlfriend has turned me into a pirate geek like her. 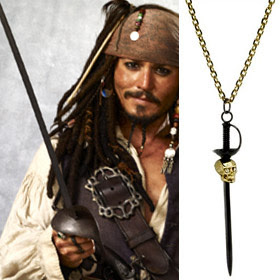 By the way, I totally recommend the movie ... and not just because Johny Depp is my straight crush. 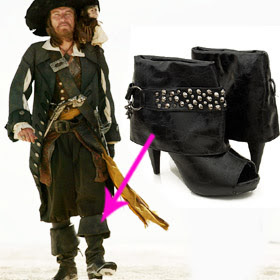 Inspired by the movie and the Jolly Rogers dress I will be ordering when my paycheck rolls around, my Top 10 for this Tuesday is about swashbuckler style - pieces for the modern day buccaneer. 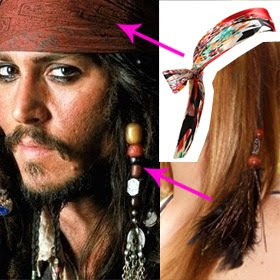 I always thought colored hair extensions were cute but beads and feathers make them Sparrow. 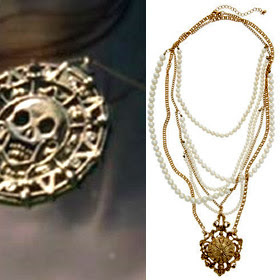 $85 @ Noir Jewelry - This is actually from their Pirates of the Caribbean Collection.